Monroe Woodbury junior Evan Barczak is competing at 145 for Team NYWAY while Goshen sophomore Frank Fea is manning the 102 pound slot for Team Sugarfoot at today’s NUWAY Summer Duals taking place in Long Branch, NJ. Team NYWAY is loaded! Some of Barczak’s teammates include nationally ranked studs Yianni Diakomihalis, Tommy Cox, Adam Busiello, Chris Mauriello, Christian Araneo, and Edwin Rubio! Updated results for Barczak and Fea below. Barczak wbf 3:50 over Vincent Foggia (Seagull WC)…Foggia is a NJ state qualifier! Barczak dec 2-1 ot over Mark McCormick (Camden Catholic)…McCormick is a 2X NJ placewinner!!! 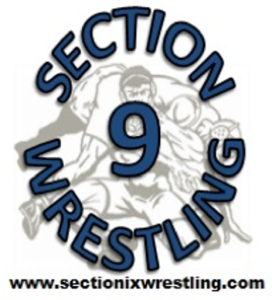 Barczak dec 2-1 ot over Sam Cali (Garden Fresh)… Cali finished 3rd in NJ this past season!!! Great Job Evan!! !